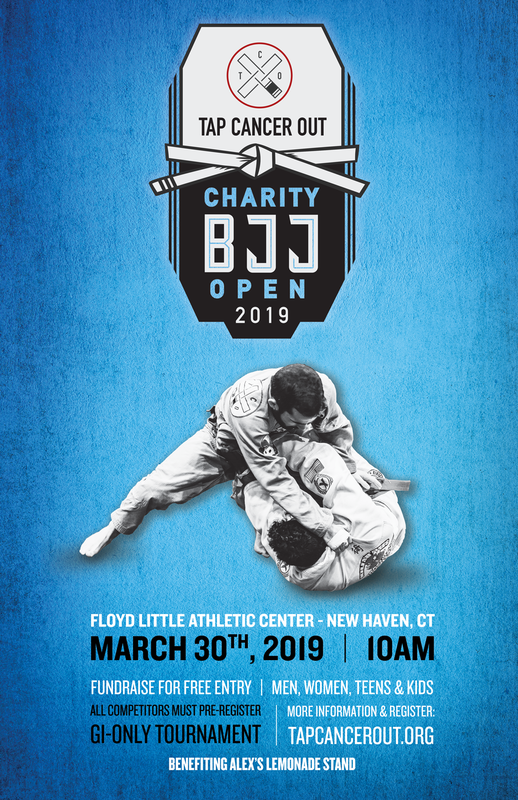 On March 30th, 2019 we we returned to New Haven, CT, for our 8th annual Tap Cancer Out Connecticut BJJ Open! Just like each CT tournament before it, this one was for the record books. Joshua Colacone from Coventry BJJ did a tremendous job as our Top Individual Fundraiser, not only raising $7,706 but doing so with 146 individual donations, absolutely blowing the doors off the previous record of 111. The Top Children’s Fundraiser award stayed under the Soulcraft BJJ roof, but this time was taken home by Devin Montanari who was our #4 fundraiser having raised an impressive $3,099! The Top Fundraising Team award was taken home by GFTeam CT, raising $22,345 thanks to the help of 47 team members. We should also recognize Team Proud Mary which raised an astounding $20,552 and Soulcraft who once again finished in our top 5 raising $17,754. Ultimately 420 transacting fundraisers and 4,387 generous donors helped us raise nearly $240,000+ in direct donations. In total, the tournament raised more than $300,000!! We also hosted our first Black Belt Showcase event, featuring black belts from all around the country in submission-only Gi and No-Gi Matches. The Top Black Belt Fundraiser was Alex Ecklin from Masterskya (Brooklyn) who raised $3,467. As a group the Black Belts raised more than $11,000. We can’t wait to host more in the future! Our 2019 Connecticut BJJ Open raised more than $280,000 in support of Alex’s Lemonade Stand!